The Polish leader has sought additional military support from the U.S., citing the risk posed by an emboldened and expansionist Russia. 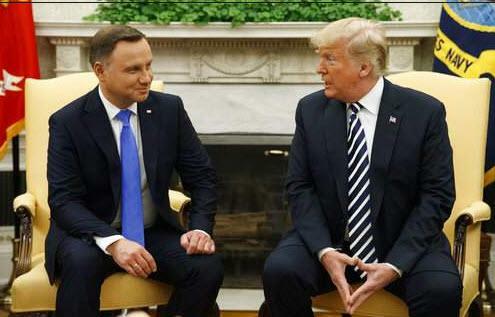 Duda has asked for a permanent U.S. military base in Poland to serve as a deterrent, and his government has said it would contribute financially to the establishment of such a facility. The plan may meet opposition among European allies chagrined by Poland’s turn toward autocracy, including a revamping of the judiciary that critics say will remove judges who won’t take orders from politicians. Furthermore, given that Trump is the 'puppet of Putin', this move would seriously up set the Russian leader.